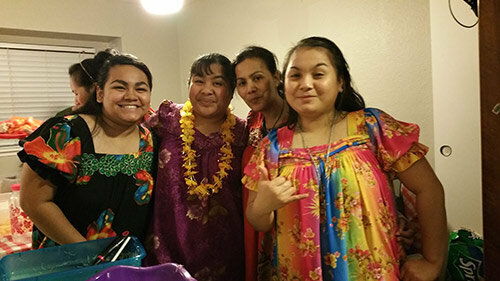 U-Flyers in Washington State, happy and optimistic about the future of Chuuk State and proud to be FSMers. Only and only if the Seahawks win the SuperBowl. Wakakakakz… Niekapen Sapou Uman. Aside from thanking the man above, we must tip our hats and bow our heads to the Commander of Unity, the Educator of Diversity and our dear President, his excellency Manny Mori. We all witnessed his urgency to dispel the unfortunate, unfounded, uncalled for undertaking by some for the state of Chuuk to part ways from the Federated States of Micronesia. Well, I got carried away a little bit there but there are good reasons and some lessons learned from the movement. What bothers me though was the timing and the people behind the movement. It’s just very sudden and the peeps behind the movement, I was told were the same people administering a struggling Chuuk State government. If it’s not for the movement, we wouldn’t know how complex the situation really was. I thought any state can just stand up and walk away from the union. Now we know, the Federation has to approve such an undertaking. If it’s not because of the movement, his excellency, President Mori won’t come out to Guam, Hawaii and the US mainland to meet the FSM citizens and educate them on the state of the nation, the executive’s role in the movement and what the people can do to help the nation. There were a lot of good things learned. If I read it correctly, the Chuuk state government and the FSM government agreed to sit down for a long talk to see where they can come to terms with the many things brought up as reasons for Chuuk to part ways. That is a good thing. Dialogue is always a good start. If Chuuk wants control of Mr. Ben Franklin, then so be it but the FSM has to be there an act as the big brother and watch over the Chuuk governments distribution and allocation of funds to ensure that Mr. Franklin goes directly to where it can help the people and not just the very well connected few. We the people of Micronesia, exercising our inherent sovereignty, do hereby establish this Constitution of the Federated States of Micronesia.